News in from Kimberly – “K2Tog has just received “The Hapsaalu Shawl” book that Nancy Bush was talking about. It is in English and is GORGEOUS. Full of history, pictures and charts. We had three copies and are now down to two.” While I haven’t seen the book…I will over the weekend. I am a huge fan of Nancy Bush .. her attention to historical detail is always right on! Bonnie was one of the attendees at our recent Skein Lane Retreat. There are many reasons why it was such a joy for her to be there…one of which is that she brings inspiration wherever she goes. 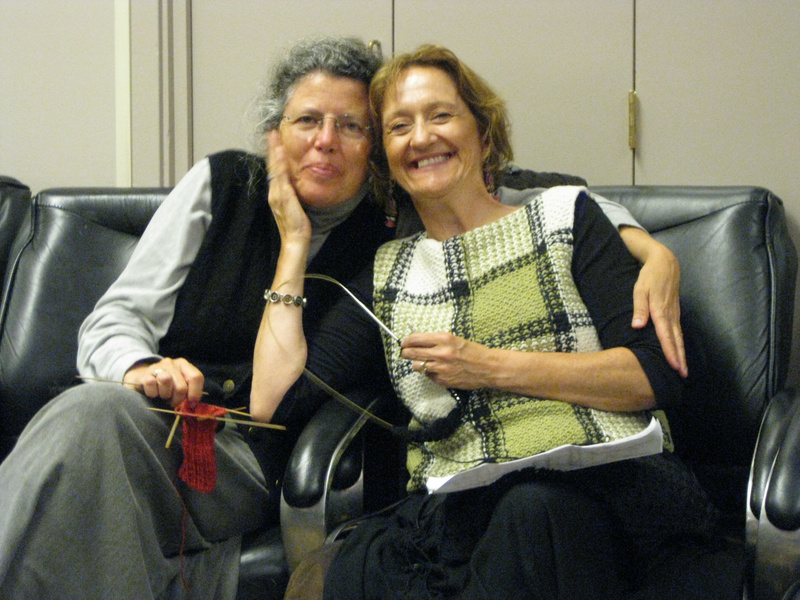 We met, four or five years ago in my retail knitting shop, about a year after she was in a serious automobile accident. She was (and still is) a young vibrant working mother who was driving to work early one morning on an East Bay country road …I believe she had at least two jobs and a young son that she was and is raising. Her car went off the road and hit a guardrail…and that guardrail severed her leg and then pressed against her body and saved her from bleeding to death. She now works with seniors, teaches dance, performs, and knits while she raises her son! 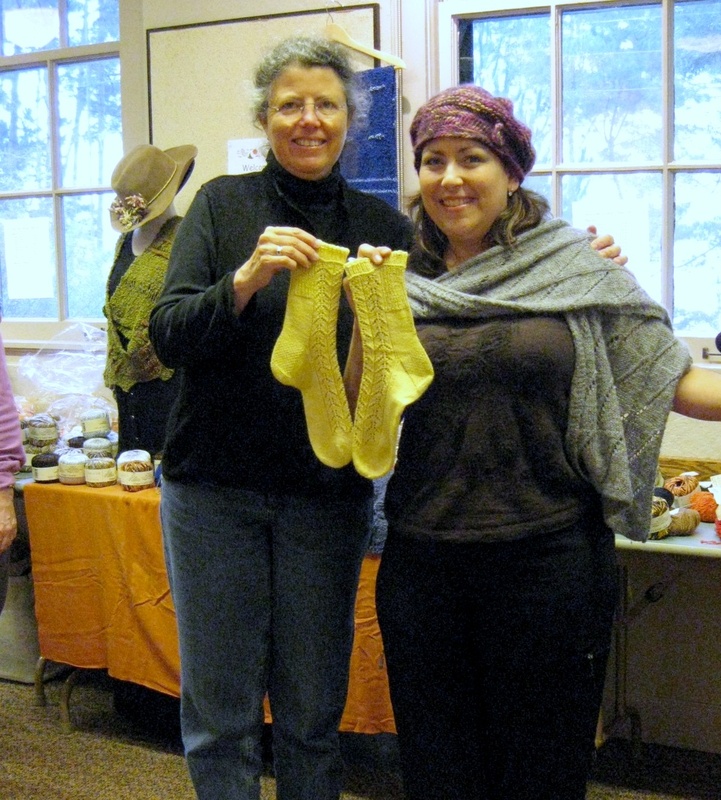 Here is she is with Nancy Bush at our recent retreat showing the yellow socks project that was featured on Ravelry. Nancy and Sally are the best! They are terrific instructors……and a joy that they are good friends. Here they are! Photo compliments of Bonnie Baskin…thank you Bonnie!